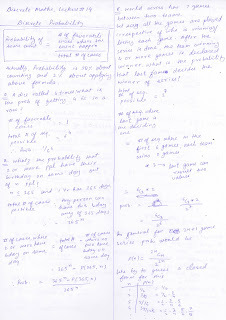 These are my notes from 14th lecture of discrete mathematics course taught at Arsdigita university by Shai Simonson. Other posts relating to this are here. 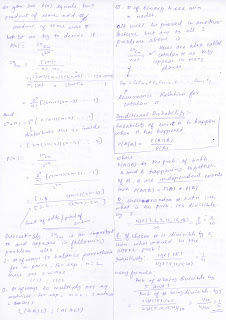 This lecture introduces basic discrete probability, mainly the two things..